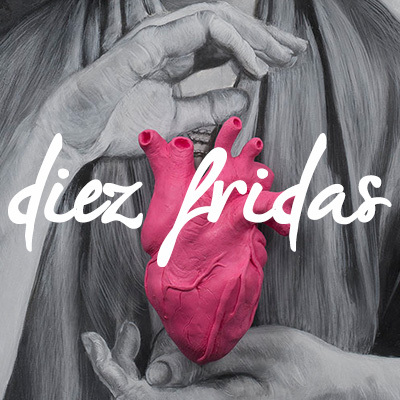 Diez Fridas is a collective presentation about faces and symbols of the artistic universe of Frida Kahlo. Ten visual artists show us their conception of the figure and permanence of a great artist. Curators: Maria Motta, Alejandro Meza.